We were moved by their words and honesty. We hope you are, too. This week, we published a story we wrote less than half of. Most of it was written eight years ago, by a mother whose then 10-year-old son was going through a clinical drug trial at the University of Illinois at Chicago that tested lithium on children with bipolar disorder. 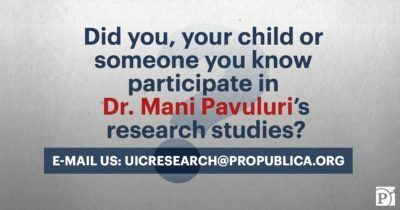 After we reported in April that Dr. Mani Pavuluri, a former UIC psychiatrist who oversaw several federally funded studies, had violated research rules, failed to alert parents of risks and falsified data to cover up misconduct, we realized there was still an important part of the story missing: What happened to the children who had participated in Pavuluri’s studies? 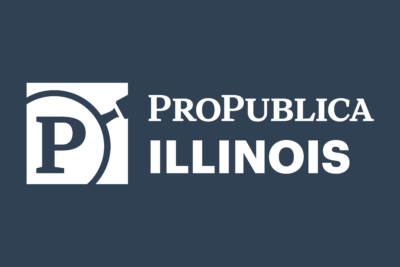 Pavuluri has said she treated each of her patients and research subjects with care, while UIC has said it enforces the highest standards of integrity in its research studies. We put out a call for people to tell us what they know. We heard from at least a dozen families. One of the parents who reached out was Aline, who told us a study had devastating effects on her son Wilson and her family. What’s more, she said she had kept an online journal throughout the family’s experience. We, as reporters, decided to mostly get out of the way and publish Aline’s journal with her permission. Of course, we still did all the reporting you would expect — getting documents, asking the right questions, confirming facts, building trust with sources — but we wanted her to tell her own story. We also asked her and her son, now 18, to annotate the text with their reflections today. The format is unusual, and for this newsletter, we’re taking the opportunity to ask each other questions about how we each came to the story and how we worked together. Logan: Jodi, you come from a “traditional” journalism background. How is this story different from other stories you’ve worked on? What boundaries did it push for you as a journalist? Jodi: I wanted readers to have the same experience I had when reading the mother’s journal for the first time, so our goal was for it to stand on its own as much as possible. We had to write some material to provide context for readers, but it was a challenge to hold back on the writing to instead emphasize the family’s voice. The presentation is unique, with family photos, video and audio — like a scrapbook. Instead of traditional quotes, their comments are directly tied to the journal as annotations. I had to think more visually, more conversationally. The family was very much part of the process, so it was more collaborative than a typical story. I went out to their house maybe six times. The story was built around the mother’s photos and writings, so we decided it was important for her to see how we were presenting them. That’s atypical. While the story still relied on fundamental journalism techniques, it also depended on the family’s courage and willingness to open up their life. Other than asking us to protect their privacy by using their middle names, they didn’t request that anything else be excluded or changed. 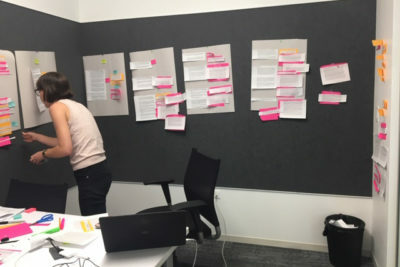 We spent days in a conference room doing what looked like an art project. We had transcripts of our interviews, scissors, Post-it notes, tape and large sheets of paper. We posted the sheets of paper around the room, cut out and taped up journal entries and placed the annotations next to them. We “wrote” much of the story that way. Jodi: Logan, as a reporter who specializes in engagement, you had the idea to ask readers of our first story to contact us if they or their family members had been patients of the lead psychiatrist, Pavuluri, or her research subjects. Why did you think it was important to hear from them? Was the outcome what you expected? Logan: The intention was to hear from the people most affected by the UIC research. Because of privacy rules, there was no way the university was going to give us information or records that show how participants were affected. And even if it did, records often only offer glimpses into what a person’s lived experience was. In your previous reporting, you were able to show the wrongdoing and misconduct by both Pavuluri and the university, but there remained the question of how the trials impacted and potentially harmed participants. Since there was a relatively small number of participants and family members who could respond, I expected it’d be difficult for the story to find those people, and more so to get them to actually reach out and share their stories with us. So when we got the email from the mother who told us her son participated in the trials and that she kept a journal during through it all, that was really a gold mine, and unexpected. The university may not have given us documents about participants, but we ended up with a different kind of document — a journal. What the family wrote about itself is more true to their experience than anything we could write, and more than any record would tell us. Logan: What did you learn from approaching a story in this way — through deeply collaborating with a source who first connected with us, in part, because of our callout? It felt like a longshot. But we heard from about a dozen parents whose children had been patients and research subjects. While this story is about only one of them, all of their stories helped shape the direction of our reporting. Would they have reached out if we didn’t include the callout? Maybe. But I believe the specific ask made the difference. Jodi: You talk a lot about the importance of building community and reporting with communities. What did you learn from this experience? Logan: I think, for this story, we didn’t necessarily build or report with a community, but with an individual who has been searching for a community of her own. By listening to and collaborating so closely with a single individual, and by allowing her and her family to speak for themselves through our platform, we may be helping communities find each other. 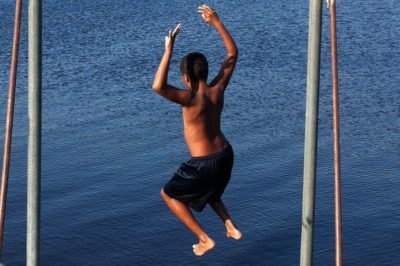 After her 10-year-old was accepted into a clinical drug trial for bipolar disorder, a mother chronicled her family’s experiences. Here is their journey, in their own words.